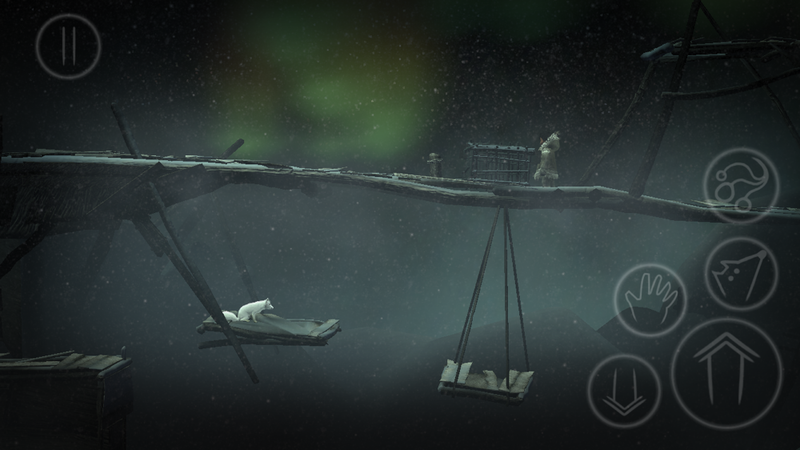 I’d been hoping that Never Alone would make it to iOS ever since I heard it announced for PC and consoles. As an animal lover, the ability to play as an arctic fox had huge appeal. I’m also a sucker for gorgeous graphics, especially of outdoor environments. I appreciate the beauty of snowy landscapes, even if I find them a bit too harsh to live there. 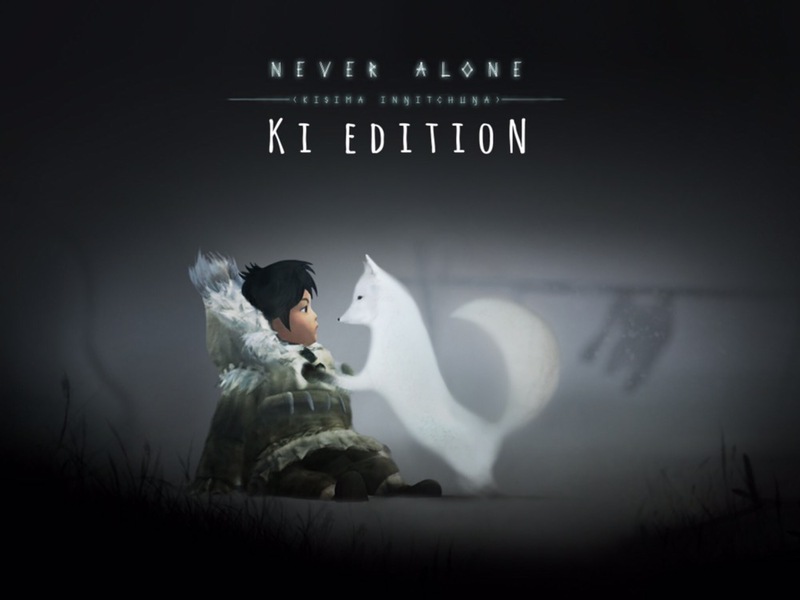 So even though I’m not a big fan of platformers, I had to play this one when it arrived on iOS as Never Alone: Ki Edition. I also love the whole idea behind the game, from its name to the way it tells the story of a people who don’t often get their story told. 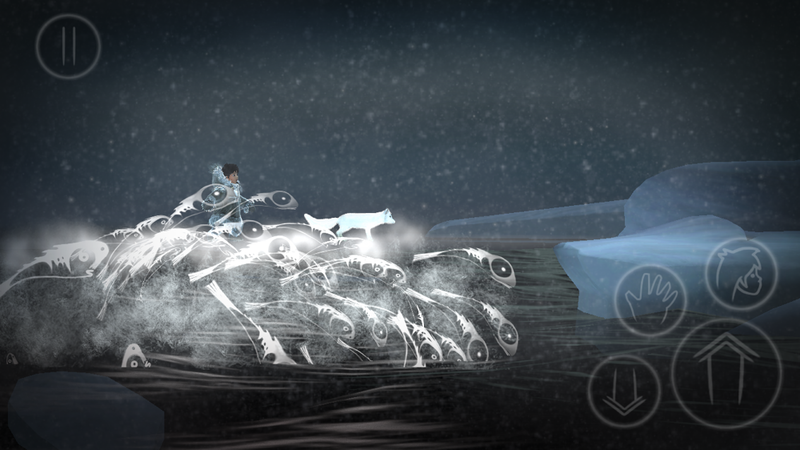 Never Alone (Kisima Ingitchuna) was developed in collaboration with the Iñupiat, an Alaska Native people, and nearly forty elders, storytellers and community members contributed to the making of the game. It’s based on a traditional story that’s been shared across generations and follows a little girl named Nuna as she embarks on a journey to save her village with the help of a furry snow-white arctic fox. 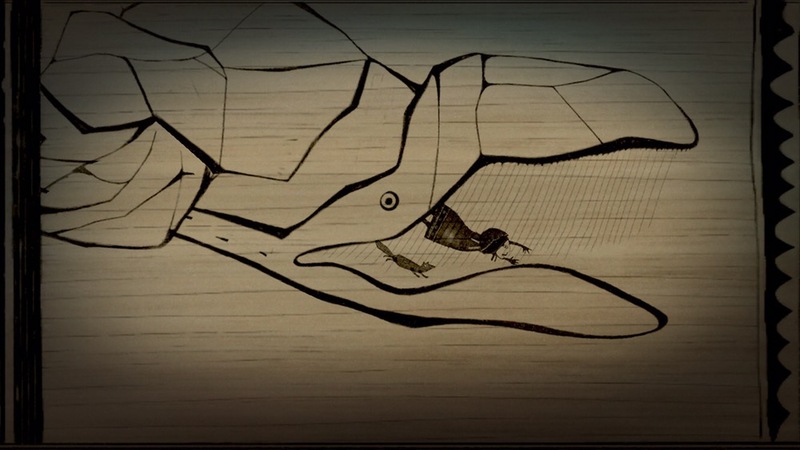 The story is barebones, but explained mostly through short cutscenes that use animations resembling etched scrimshaw art and are narrated in the spoken Iñupiaq language. This helps immerse you in the culture and environment of the people you’re learning about, but the cutscenes are short enough to never overstay their welcome. If you’re interested in learning more, there are behind-the-scenes videos you unlock by finding owls in the game. You’ll encounter most of them simply by playing, but there are a few that can be missed if you don’t veer off the main path a bit. 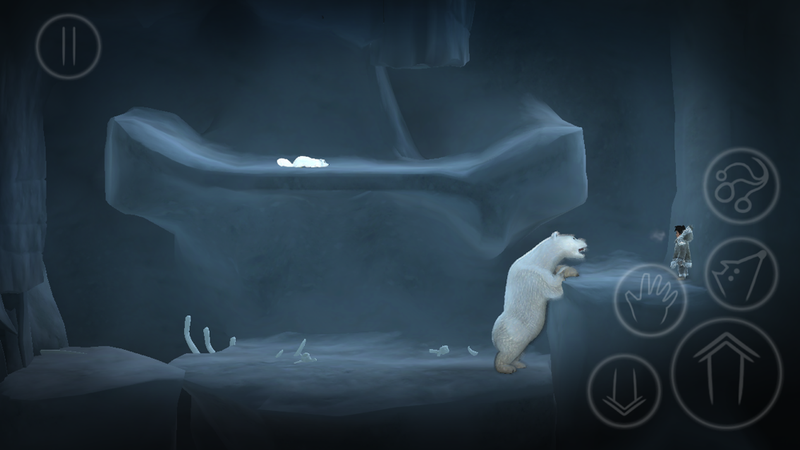 The graphics in Never Alone might be the biggest selling point. I know I would not have been nearly as interested in it had they been done in simple 8-bit pixel art. There’s just so much gorgeous detail in the game, from the way the snow falls, the the aurora borealis, or steam coming from Nuna’s mouth. The weather effects are believable. The blizzard’s strong winds blow both Nuna and the fox off their feet unless they brace themselves to prepare for it. There are also spirits that aid Nuna and the fox and add a sense of the supernatural to cold, harsh elements. The bear and fox’s movements seem very realistic, whether swimming, climbing, or jumping. 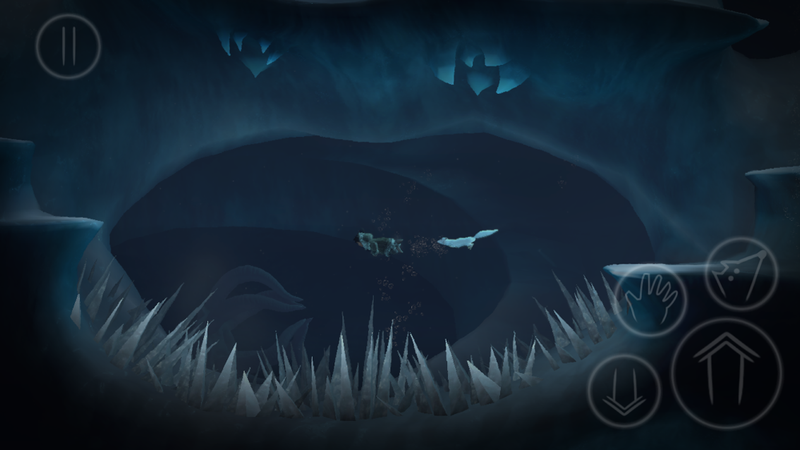 I’ll likely revisit the underwater section of the game just to watch the fox gracefully swim. Even on my small iPhone 6S screen, I could spot all these tiny details. The graphics might also explain why the game is such a battery hog. I don’t recommend playing on the go unless you have ample backup energy. Since I played mostly at home, I could plug in as necessary, so it wasn’t a big deal. I also have an iPhone case, so I wasn’t too bothered by it heating up. If you don’t have a case, you might notice it a lot more. In many ways, the game is a lot like Last Inua, one of the few platformers I’ve completed. 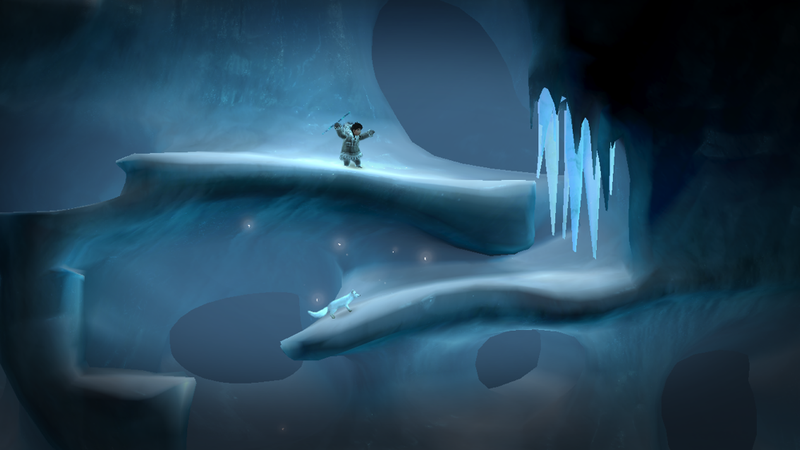 Both take place in the snowy Arctic and have you control two different characters to solve puzzles using their unique abilities. 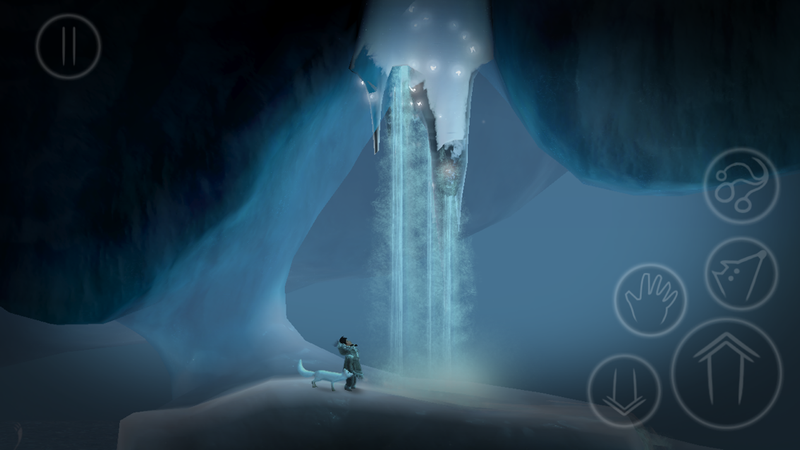 Never Alone is more forgiving in some ways, such as the lack of frostbite. But that doesn’t mean it’s without its challenges. It can actually be a very unforgiving game at times, requiring a hefty helping of patience from the player. Since the controls are a large part of that, I want to discuss them for while. The button layout can be a bit cluttered, but it gets the job done for the most part. On the right are the transparent buttons, such as the large jump button, crouch for bracing against strong winds, and a hand button for certain actions such as pushing a crate with Nuna or kicking a rope off a ledge with the fox. Then there’s the button that allows you to switch between the two characters. Additionally, Nuna will get a bola throwing weapon, which can be selected and then thrown by tapping on the screen where you want it to go. The bola is used for several purposes, including breaking ice or summoning spirits. Despite the occasional control issues, I was enjoying the game enough to push through to the end. There might be a little too much platform jumping for my tastes, but I liked the puzzle aspect of it. Since teamwork is needed between the two characters, it leads to some interesting ideas. For instance, the fox can climb walls and control spirits, so sometimes he needs to go ahead and clear a path for Nuna. This could mean making his way around some tight spaces so he can bring a spirit close enough to Nuna for her to hop on. Other times, Nuna has to help the fox by moving a physical object to help him cross. Or they have to team up to outsmart a bear. 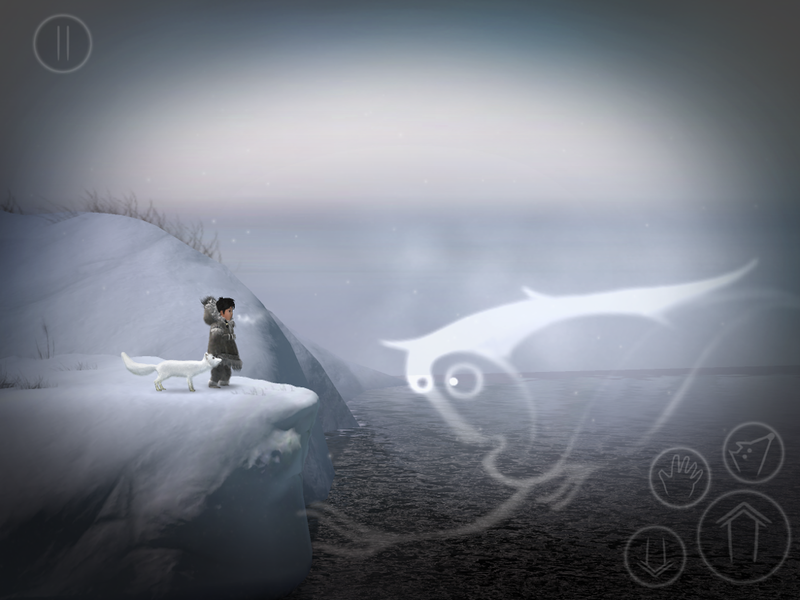 I get that the game is trying to portray the harsh elements that the Iñupiat people have to deal with, but I think it could have been a little bit more forgiving, especially considering the imprecise touch controls. There were about four or five points in the game where I was ready to throw in the towel and quit altogether. But I would take a break and come back to it less stressed out. I eventually managed to make it through each of the frustrating parts with some perseverance. It says a lot about the game that I didn’t quit despite its issues, as there are very few platformers I’ve completed. 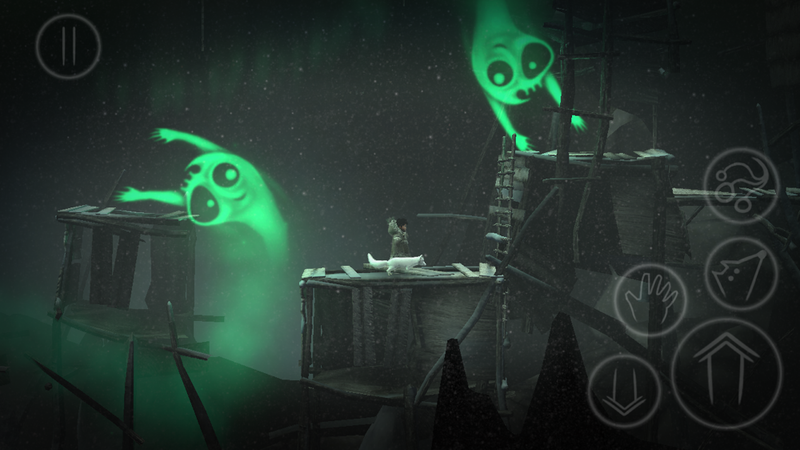 I lose patience with them easily, but I was determined to complete Never Alone because of everything it offered. I would have preferred a more relaxed puzzle platformer that didn’t rely so much on quick reflexes, as well as more precise controls. But there was enough to like in Never Alone to keep me pushing through even when I hated it with all my being. So while I did enjoy most of the game and don’t regret playing it, keep in mind that you’ll need a healthy dose of patience to get through it, especially if you’re not particularly skilled at playing platformers. The first time I nearly quit was in the fourth section, where a bear has you cornered. The fox has the ability to climb walls that Nuna can’t. So the solution was for the fox to climb over and around the bear to distract him. Once the bear notices the fox, you have about a second or two to get him out of harm’s way. But I practiced that part a number of times without the bear chasing him and I still only managed to make it work maybe one in five times. A large part of the problem was the fact that my left thumb covered most of the area where the action was taking place. The main reason I stuck with it was because the checkpoint is right before this tricky part and it saves after each difficult part of the puzzle. So as frustrating as it was, I could keep trying that little bit without having to redo anything I already completed. And I did go back and re-play some sections after I completed the game, including the bear cave. This time it was much easier for me, possibly because I had gotten so much more practice with the controls since I last played it. I still think it can be improved upon, but it wasn’t as bad as I initially thought. 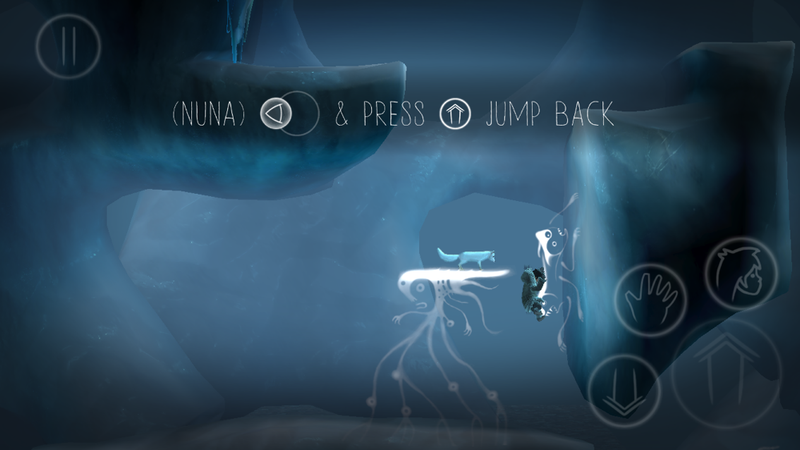 Without spoiling too much, the fox gets a new ability in the later part of the game, where he can pull spirits to Nuna by holding the hand icon and pulling the joystick in the direction you want it to go. I personally found it very clunky and imprecise, especially when timing was important. To some extent, I liked how the puzzles were designed. But without perfect controls, it became a nuisance more often than I’d like. To be fair, I am glad that the joystick stays with my thumb, at least. I’ve played games where the joystick would snap back if you got out of a certain range. That would be much worse. One late-game puzzle was so frustrating I took a break for a day or two before trying it again. A different one involved a chase scene in which it seemed I would have to quickly switch back and forth between the characters while outrunning an enemy. But I soon realized that if I just control the fox, Nuna’s artificial intelligence will automatically do what’s needed. I think this may have been changed from the console/PC versions to make up for the touch controls. And I appreciated it, but at the same time felt like the game cheated for me. It might have been better to simply slow the enemy down a bit so the puzzle is doable without the built-in cheat. In fact, many of the frustrating parts of the game could have been improved by simply easing up on the timer. But I do appreciate that the developers added that AI so you don’t have to control two characters every step of the way. Some have mentioned that it controls better on an iPad. The problem is, there’s no iCloud support and I wasn’t about to start the whole game over to see if it would help me get past the trickier parts. Instead, I pushed through and managed to make it to the end, despite its control issues and sometimes silly checkpoint locations. The developers did mention that they’re considering adding iCloud support. So if it’s important to you to be able to switch between devices, you may want to wait for that update. There are also some bugs that I’ve reported to the developers that will hopefully be fixed. They weren’t truly game-breaking, as I was able to complete the game. But they do add to the frustration if you encounter them. One of the smaller bugs changes the alternate controls to the default controls when you boot up the game. Sometimes the controls will disappear altogether, but rebooting the app and going into the settings before playing fixes it, at least until the next time you encounter it. 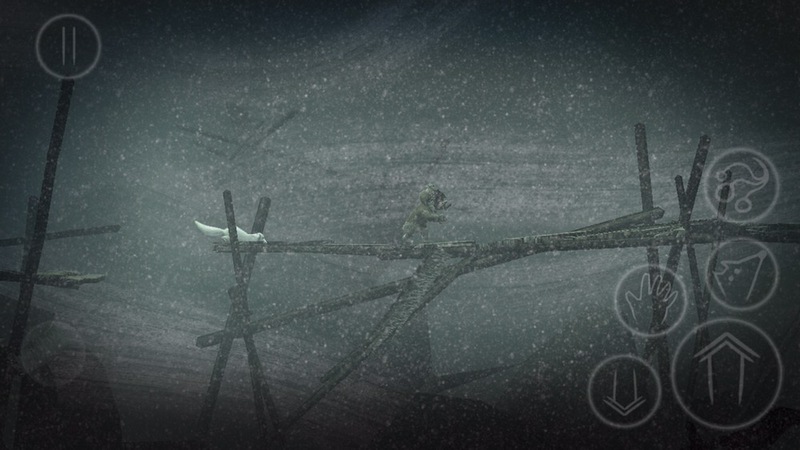 Despite much swearing, I’m glad I played through Never Alone to the end. I just wish those especially frustrating moments could have been improved upon. I would still recommend the game to those with enough patience to stick it through, or just those who don’t mind buying a game they may not complete. It is a gorgeous game with noble intentions behind it. But if you prefer your games relaxed and frustration-free, this might not be for you. If you want to give the game a try, you can download it here.